Daisuke Teshima is born in Tokyo, Japan in 1970. He was previously worked for Tohmatsu Consulting (currently known as Deloitte Consulting). In 2005, he started up a company to establish an organic cosmetics brand. The company was set up from scratch, and the brand was listed at a market value of approximately 1 Billion Yen after 9 months. Trife Co. Ltd. was established in 2006, it launched several social brands both in Japan and abroad. In addition, a volunteer group of "Sell The Change" was then established in 2009 to provide product development and marketing support for welfare facilities. 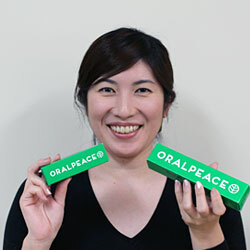 In 2013, in order to solve social problems, the OralPeace project of “Social × Biological Entrepreneurship” was launched. Daisuke Teshima is graduated from the Faculty of Law in Meiji University and he is a registered SME diagnostician in the Ministry of Economy, Trade and Industry. He is also a social innovator in Japanese Consortium 2016 and co-author for "Marketing Strategy Handbook" (PHP Research Institute). "I hope that this Japan-born research technology can help the in-need people in the world. Through this project, we will be able to support those socially disadvantaged group more. One person’s strength is limited, so we need to work together with the people who share the common idea in the world to make the dreams come true! We need your strength, please support us." 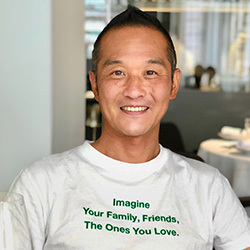 CEO of Eco Friendly Institute, Director of Trife Co. Ltd.
After graduated from Faculty of Agriculture of Hokkaido University in 1995, Kohei Nagatoshi worked for a chemical company to conduct research and development of food environmental antibacterial agents. In 2000, he entered into a cosmetics company to engage in research and development of health care cosmetics. In 2002, when working in the dairy company, he encountered the antimicrobial peptide "Nisin" that derived from lactic acid bacteria. In the research and development of “Nisin”, a number of joint projects of industry, academia and government were promoted. He started-up company with Professor Kwon Yuan of Kyushu University in 2007. After diligent effort of studying "Nisin" for 10 years, he developed a new natural antibacterial agent "Neonisin®". In 2012, the Eco Friendly Institute was established. He makes use of unique lactic acid bacteria and biotechnology, and commit to the world's most eco-friendly healthy business. “After years of efforts, we can finally engage with what we have studied and learned in social meaningful projects. I will do my best!" Ryoji Kako was working with Nichimen Business Co. Ltd. (Currently known as Sojitz Corporation). During this period, he was responsible for the operation, management of export business, new business development, local sales, factories and etc. Later, Ryoji Kako joined Daiko Pharmaceutical Co., Ltd. He was responsible to oversee overseas business of pharmaceutical products and infection control materials. After the company listed, he was responsible for the business management of the international department and overseas, development of new markets, signing of contracts with overseas sales agencies, strengthening of risk management, and training of talents in overseas businesses. He joined Nichimen Business Co. Ltd. in 1972. In 1977, he was the Director of Textile Division for Nichimen Representative Office at Jeddah, Saudi Arabia. In 1980, he was the Director of Textile Division for Nichimen Representative Office at Republic of Panama. In 1985, he was the Director of Textile Division at Nichimen Representative Office at Dubai, United Arab Emirates. He was the General Manager of the Europe Textile Division at London, Europe, London in 1989. In 1995, he was the Director of Textile Materials of the Headquarters Textile Trading Division. In 1996, he was the Vice President of Nichimen America New York Branch in USA. In 1999, he was Hong Kong Nichimen Orient Wear Hong Kong Textile Division Manager. In 2004, he was the China General Manager of Sojitz Textile (Shanghai). In 2007, he was Sojitz Corporation, Head Office Apparel Division, Nichimen Infinity Consultant. In 2008, he was the Director of International Affairs of Daiko Pharmaceutical Co., Ltd. Ryoji Kako left Daiko Pharmaceutical Co. In 1972, Ryoji Kako graduated from Kansai University Business School. He graduated from Osaka City University in 2012. He graduated from the Arab Islamic College in 2016. He was Kobe City Economic and Tourism Bureau Overseas Business Center Advisor and former part-time lecturer at Faculty of Business Administration, Meiji University. Takako Gunasekara Ueda was born in Tokyo in 1975. After witnessing the economic poverty in India, she left the semiconductor trading company. In 2002, she joined the International Cooperative NGO, a non-profit corporation, SHAPLANERER (Citizens' Overseas Cooperation Association), project aiming at improving the life of women who are economically difficult and child support activities in Bangladesh and Nepal. 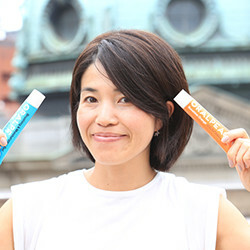 In 2011, Takako Gunasekara Ueda worked together with general corporate body, and Sell The Change. Japan established the first fair trade Ayurveda soap brand “she with shaplaneer”. As a project leader, she put a lot of effort to help increase the work opportunities of women in Bangladesh and Nepal. In 2012, she served as the head of the organization in Bangladesh office and retired in 2016. After graduated from the Faculty of Engineering, Kyoto University in 1982, Kenji Sonomono was an assistant professor at the Faculty of Engineering at Kyoto University. He was Associate Professor of Kyushu Institute of Technology in 1990, Associate Professor of Kyushu University in 1993, and Professor in 2001. He engaged for about 15 years for the research on natural peptide "Bacteriocin". He has developed a wide range of research from basics to applications and has many achievements. The main research results include the development and practical research of novel bacteriocins and the creation of Lantibiotic engineering. In addition, a number of joint production and education officials have been promoted to conduct practical research on bacteriocin food and medical treatment. From the development to the use of bacteriocins, many achievements have been made in the field of biology. "I think that it is the most important as a university teacher that basic research results at university are useful for the society, I will do my best." In 2004, Takeshi Zendo graduated from Faculty of Biological Resources and Environmental Science (Agriculture) of Kyushu University. He was the Assistant Professor at Institute of Agronomy, Kyushu University in 2006 and Associate Professor in 2007. He affiliates with the following society: Japan Agricultural Chemistry Society, Japan Bio Engineering Society, Japan Lactobacillus Academic Society. His area of expertise is Applied Microbiology. Takeshi Zendo’s research topic: Antibacterial peptides produced by lactic acid bacteria, bacteriocin studies (Search for new lactic acid bacteria, from search to application). "It is with great emotion that the lactic acid bacteria we found is able to help the society, and I will continue to contribute in the future." After graduated from Faculty of Dentistry at Hiroshima University in 1992, Hitoshi Komatsuzawa served as a teaching assistant at the Faculty of Dentistry at Hiroshima University. He is the Associate Professor at Faculty of Dentistry, Hiroshima University in 2000. He is the Professor at Faculty of Medical Dentistry, Kagoshima University in 2008. He affiliates with the following society: Japan Bacteriological Society, Japanese Dental Association of Medical Sciences. He is specialized in Bacteriology, Oral Bacteriology, Basic Chemotherapy. He researched on the role of antimicrobial peptide in innate immune mechanism, studies on oral care, Staphylococcus aureus. He also studied on drug resistance and pathogenic factors, research on pathogenic factors of periodontal disease, nosocomial infections Molecular epidemiological analysis of bacteria. "I have great expectation for the oral application of new antibacterial agent! We are looking forward to the contribution from Japan to the world and contribute to society. As an expert of antibacterial agent, I will continue to contribute down-to-earth." She is affiliate with the following society: Japan Bacteriological Society, Dental Fundamental Medical Society. Her area of expertise is Oral Bacteriology and Bacteriology. she researched on the relationship between the two-component control system of bacteria and bacteriocin. She also researched bacterial sugar metabolism mechanism. 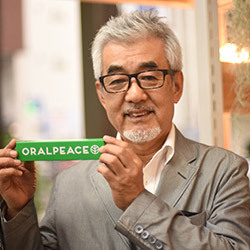 “OralPeace not only prevents tooth decay and periodontal disease, but also gives you the peace of mind and safety that you never have. As a researcher, as a mother of a child, as a daughter with a senior parent, I am very happy to be involved as OralPeace project team. Independent Administrative of National Center for Geriatrics and Gerontology, Director of the Department of Oral Diseases. Kenji Matsushit is Doctor of Dentistry, Visiting Professor of Oral Health Promotion Course at Faculty of Dentistry Kyushu University. 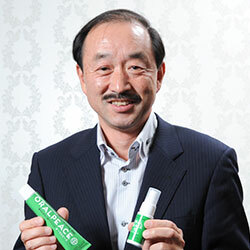 He is member of the Japan Oral Hygiene Association. He is specialized in Vascular biology, dentistry conservation, periodontal disease, oral immunology, oral cavity Bacteriology, gerontology. His current research topic is development of an infection control method for oral infections, especially periodontal disease, development of an oral health and method for healthy aging.